How Much Does School Cost? How to Become an EMT? How to Become a Paramedic? How to Become a Certified Flight Paramedic? How to Become a Firefighter Paramedic? How Long Is Paramedic School? 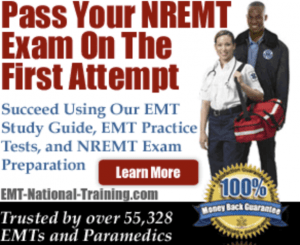 How to Pass the NREMT Exam? In this article, we will examine the paramedic salary in Montana. In addition to the paramedic salary, we’ll also reveal how much EMTs and flight paramedics make annually, as well. We’ll also show you the employment levels for EMTs and paramedics, as well as provide helpful numbers from both the U.S. Bureau of Labor Statistics and Salary.com. So how much does a paramedic make in Montana? Well, let’s take a closer look. It’s important to know that the paramedic salary in Montana varies based on a wide variety of factors. The biggest factor is location, as those who work in certain areas of the country (such as the east or west coast) are likely to earn more paramedic pay than those who work in the south or Middle America. Another factor is whether one works in the public or private sector, as well as if a paramedic gets paid for overtime. It’s worth noting that those who have received advanced training and education (such as a firefighter paramedic or a flight medic) earn more annually than an ambulance paramedic, as well. Before we get into any specific numbers when it comes to paramedic salary in Montana, let’s quickly cover a few important national statistics. According to the U.S. Bureau of Labor Statistics (BLS), EMTs and paramedics earn an annual average salary of $34,030. On Salary.com, that number is a little higher for paramedics specifically, averaging out to $38,347. That salary figure equates to a monthly pay of $3,196, a weekly pay of $737, and an hourly wage of $18.44. When it comes to both EMTs and paramedics in regards to employment levels, Ambulatory Health Care Services top the list with 110,330. Local Government comes after that with 69,290, followed by General Medicine and Surgical Hospitals with 38,180, Other Support Services with 1,640, and finally Offices of Physicians with 1,610. Using Salary.com as our guide, let’s see how the salaries for EMTs, paramedics, and flight medics compare in the largest cities in Montana (by population). In Billings, EMTs make $27,046 every year. Paramedics make an average of $34,286 per year. And flight medics make $36,684 annually. In Missoula, EMTs make $17,324 every year. Paramedics make an average of $21,962 per year. And flight medics make $23,497 annually. In Great Falls, EMTs make $26,634 every year. Paramedics make an average of $33,764 per year. And flight medics make $36,125 annually. In Bozeman, EMTs make $17,324 every year. Paramedics make an average of $21,962 per year. And flight medics make $23,497 annually. And in Butte, EMTs make $19,999 per year. Paramedics earn $25,352 each year. And a flight paramedic pulls in $27,125 annually. If you’re currently looking for a paramedic job in Montana, it’s recommended that you visit our job board. There, you can search for hospitals and ambulatory services that are looking to hire educated and trained paramedics. As you can see, when comparing the paramedic pay numbers to the national average on Salary.com, paramedics in Montana don’t make anywhere near the national average. While paramedics in cities like Billings make a decent annual wage, those working in cities like Missoula or Bozeman get paid significantly less. Still, the job of a paramedic is essential in Montana, as there’s no more important position than those who are committed to helping their fellow man. Learn more about paramedic training by visiting and bookmarking our website. What is the Average Paramedic Salary? Paramedic vs Nurse: Which Career is Best?